JANUARY 14, 2018 (10 AM) – THE LITHUANIAN CONSULATE GENERAL IN NEW YORK AND ANNUNCIATION PARISH INVITE YOU TO A SPECIAL MASS AND A COMMEMORATION IN HONOR OF THOSE WHO PERISHED WHILE DEFENDING LITHUANIA’S FREEDOM ON JANUARY 13, 1991. PLEASE NOTE: DUE TO THE CURRENT RENOVATION OF THE INTERIOR OF ANNUNCIATION CHURCH, THE MASS ON JANUARY 14th (10 AM) WILL BE HELD IN THE ANNUNCIATION PARISH HALL (70 HAVEMEYER STREET, BROOKLYN, NY 11211). 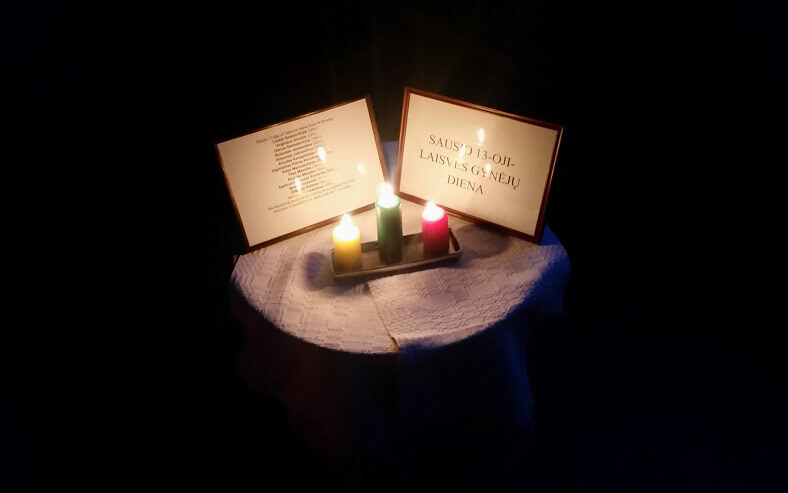 During the commemorative Mass, a procession will carry candles and photographs with the names of those who perished while defending Lithuania’s freedom and these will be placed next to the holy altar. Following the Mass, we invite everyone to remain in the parish hall for a memorial program. Our guest speaker, the Republic of Lithuania’s Consul General in New York, Julius Pranevičius, will share his thoughts about the tragic events of January 13, 1991. Following a light lunch, we will present a film by director Vytautas V. Landsbergis titled “The Second Generation After January”. This film portrays the events of January 13, 1991 in Lithuania and particularly in Vilnius (the film includes reactions of current students in Lithuania to the 1991 events).